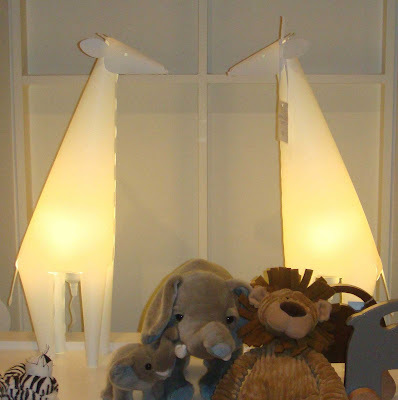 Here is my complete post on Modern Lamps as featured on Project Nursery yesterday. I was delighted to see this four-year-old boy's room featured in Traditional Home Magazine this month. The room was designed by Melissa Warner of Massucco Warner Miller design firm in San Francisco. 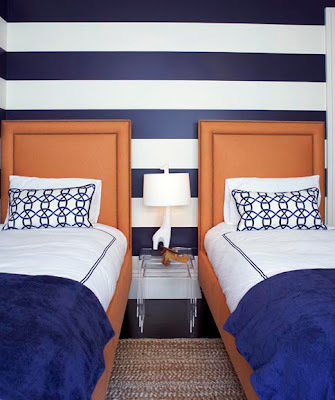 I love the boldly painted horizontal stripes of navy and white paired with a pop of mandarine orange. It almost lends itself to a modern nautical feel. 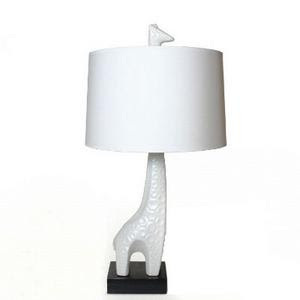 To make the room more juvenile Melissa added a Jonathan Adler Giraffe Lamp (pictured below). 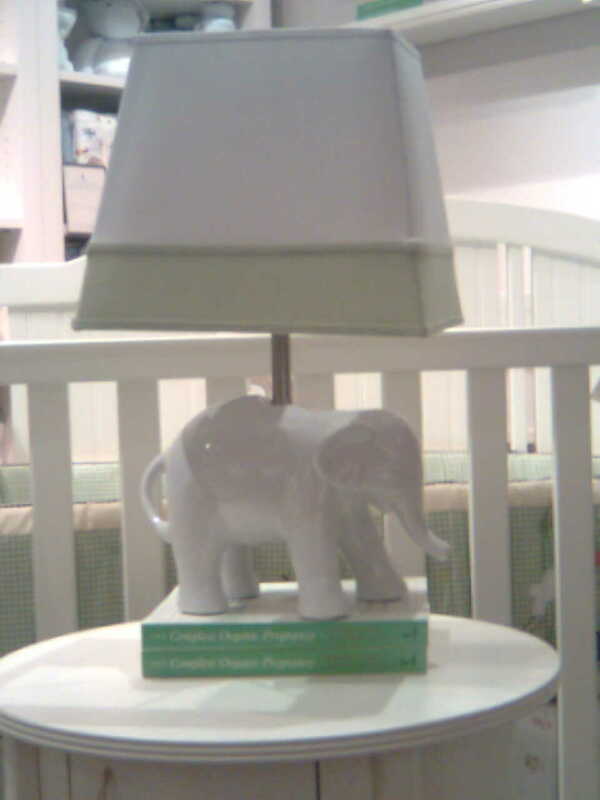 Although I adore this lamp and I think it can be used for years in a home it carries a hefty price tag of $395. 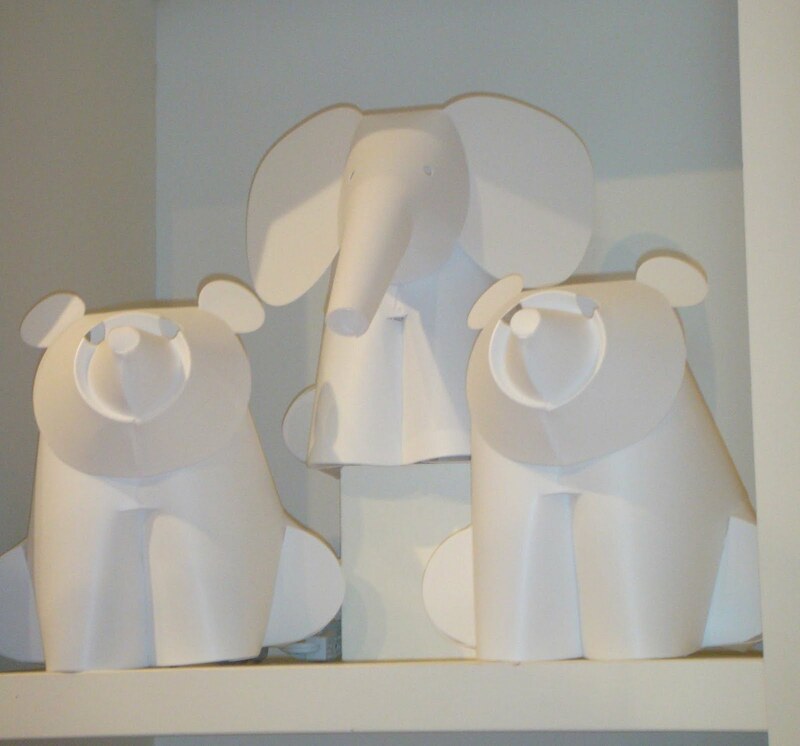 To get a similar look with a fraction of the price, I suggest these adorable paper lamps found at B. Braithwaite in Atlanta, GA. 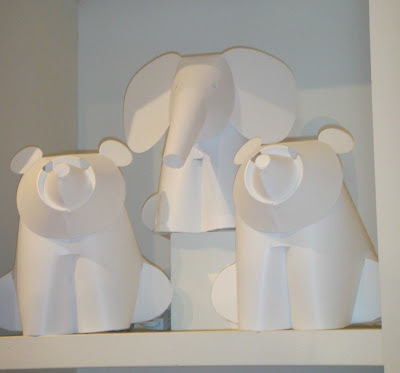 They only cost $88 each and also come in bear and elephant shapes as seen below. 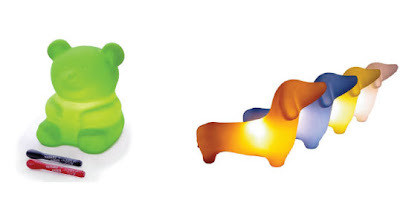 If you want the option of a little more color, I also like the whimsical MyPetLamps by Offi. 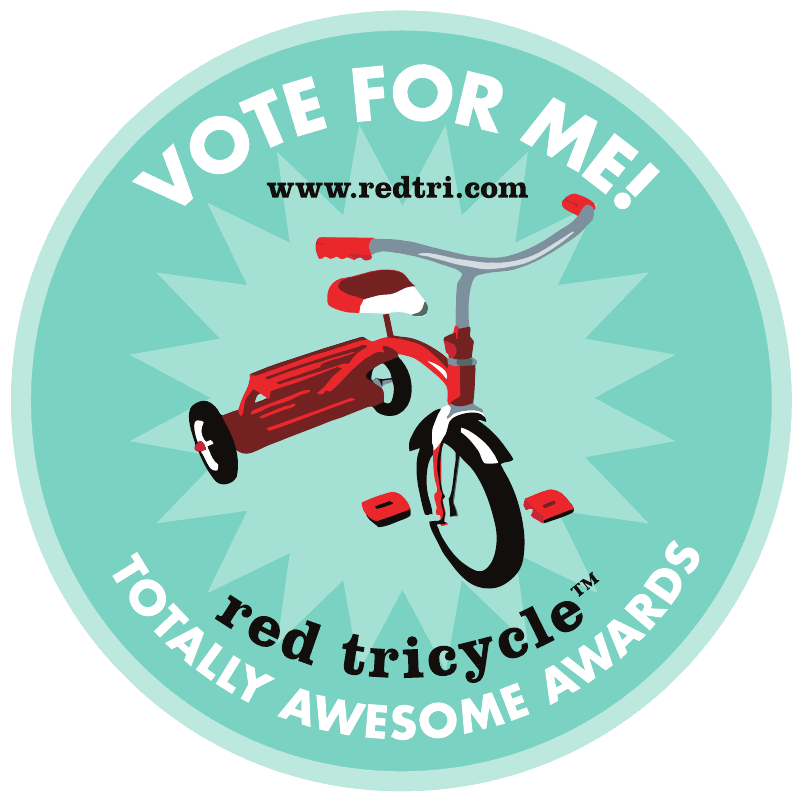 They are available in six colors: soft white, mellow yellow, sky blue, sunset orange, hot pink and misty green. They are made of non-toxic odorless plastic and the low voltage 12v replaceable bulb creates a soothing glow in a child's room. The Dachshund & TerriBear cost $59 each. Happy Shopping! Quatorze in addition to over the all-round doing you hair on the replica chanel time, no matter if substantial in addition to encapsulated, glazed or maybe don some sort of have, traditional display cases hold on to the attractiveness nonetheless keep on being seeing that practical waste storage devices currently. Just one type on the rolex replica uk traditional showcase seemed to be in essence a substantial in addition to block section of architecturally designed pieces of furniture having stable opportunities. It truly is with this section of beginning pieces of furniture which the current fake gucci derives. However, not normally made in The british isles over the 16th centuries, the item evolved into a normal piece of furniture with omega replica watches, Malaysia in addition to in particular with People from france the spot that the substantial armoire has long been favorite. In the future 17th centuries state manufactured Baroque armoires typically involved many fake rado things in doing you hair.